SHINKO VERGE F016 – The 016 Verge 2X is a dual compound Zero Degree jointless steel and aramid belted radial tyre designed for both touring/sport touring and performance riding. 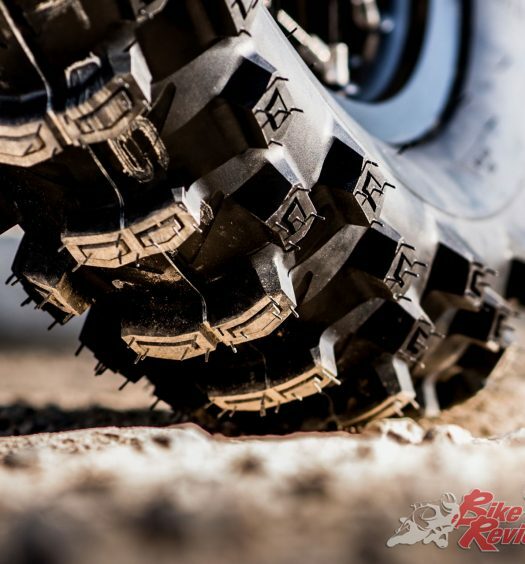 The tyres feature siping technology for the best wet weather grip and water dispersing possing while allowing a large rubber footprint for dry weather riding. 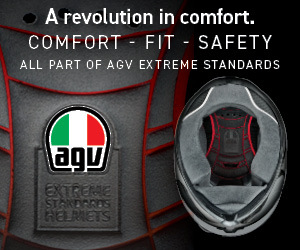 The dual compounds give mileage with the harder centre and cornering grip with the soft compound shoulder. 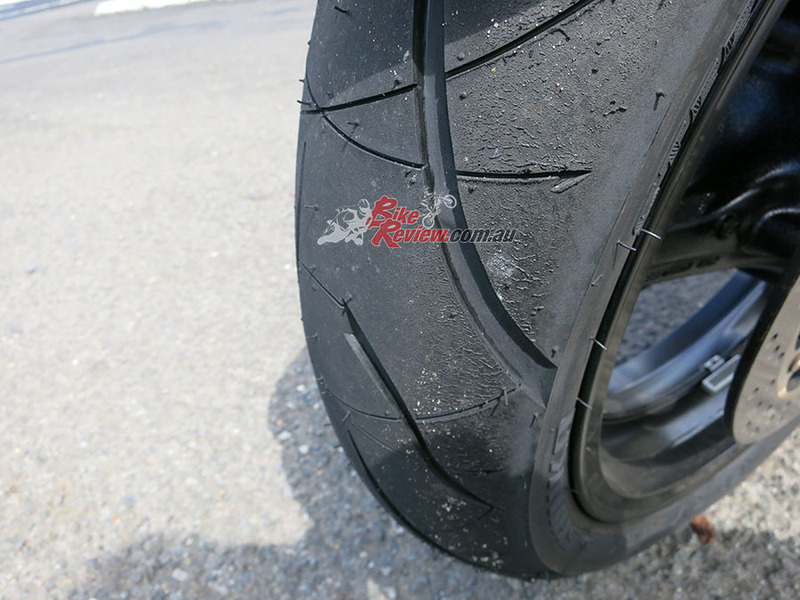 The Shinko’s are a really good tyre. I admit I was sceptical at first – this is my first time on Shinko since a bad experience about 15-years ago but I have to admit, these are really good hoops. I’m impressed. Scrub in was easy, around 15km and done. Rolling feel is fantastic on the road – smooth, good bump damping too. 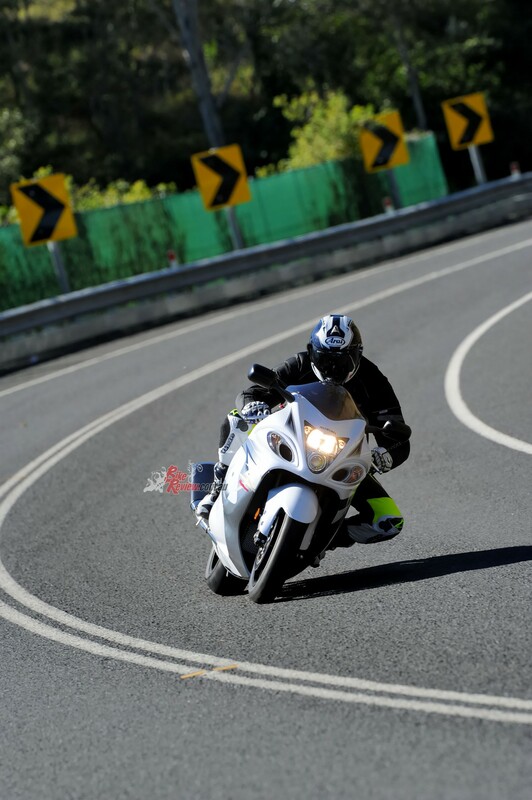 Grip is really surprising and the rear tyre transformed the handling of my Hayabusa. It’s quite triangular in construction, so the bike really falls on its side well and is much more nimble than with the more square construction tyres on the market. I was getting on the gas pretty hard and there was no rear sidewall pumping off turns, which generally happens on softer tyres with these Hayabusas. They do require more warm up than most of their competition for any hard charging and I have found that if I’m having a go, the 016s need to be treated with a bit of finesse as they tend to slide around a little. 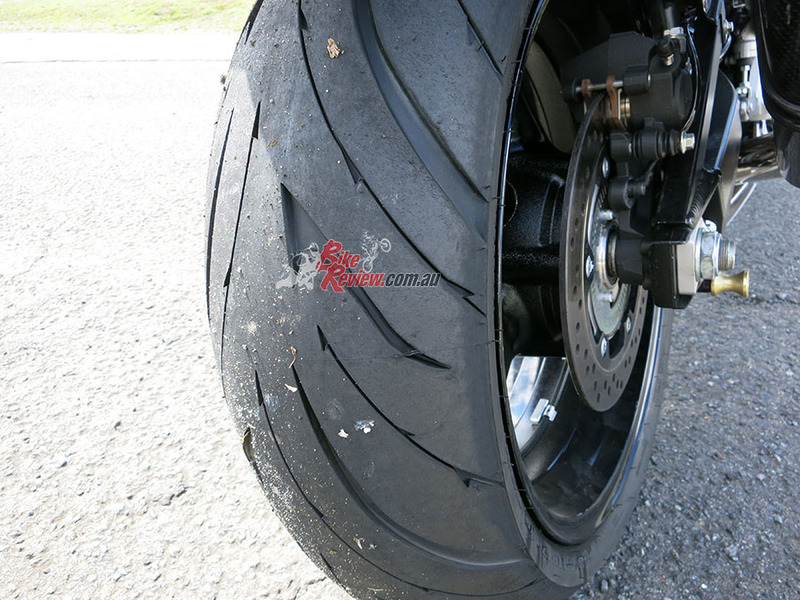 The tyres had that nice soft rolling feel and soak up high-speed impacts such as corrugations and sharp bumps. The handling of the Hayabusa was transformed with the more triangular profile. Initial turn-in was sharp and the bike fell on its side nice and easily yet progressively. Once at full lean, the bike remained planted and rear end grip was predictable, with gentle slides only when pushed right down the very edge of the tyre. Front tyre feel was not a huge strong point, however, there is grip there and a certain level of trust is required. 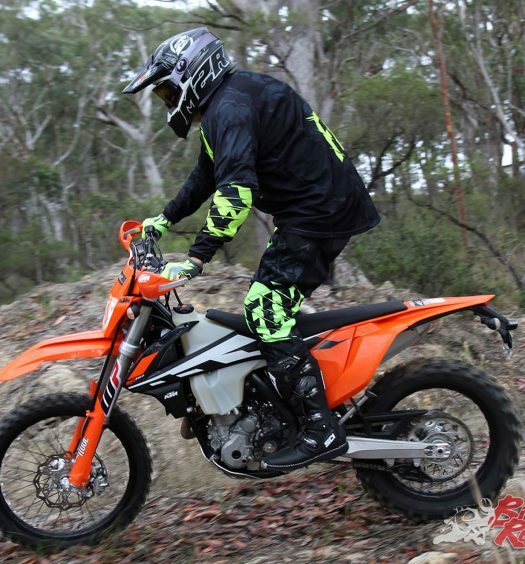 Wet weather performance is where the tyres do require an experienced rider. 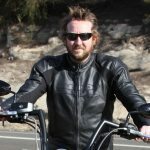 The feel like there is a lack of silica content, as there is not a lot of drive off turns or grip off centre, which left me feeling lacking in confidence in some situations but I have been riding accordingly. In all, for the money, so far I think the Shinko hoops are outstanding. Available through your local store via Warrian Enterprises (07 5526 4543). Established in 1946, the Shinko Group began as a manufacturer of bicycle tyres and tubes in Osaka, Japan that today has become a burgeoning manufacture of rubber products. In 1998 the Shinko Group purchased the motorcycle tyre technology and molds from Yokohama Rubber Co., and began production of these products under the Shinko brand. With manufacturing based in South Korea and design based in Japan, the company has seamlessly combined Japanese engineering and design principles with South Korean production and quality control standards. Today Shinko produces approximately 200,000 motorcycle tyres per month!